Calm Hatchery borrows some elements from the likes of Nile and others in the genre, but maintains their own type of Middle Eastern sound. There band’s sound is both ferocious and nimble to create a varied death metal combination. Some of the band’s that are of this style can tend to overdo the technicality aspect of their music. 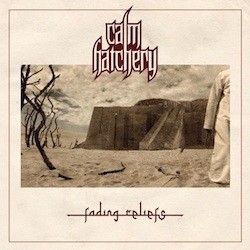 Calm Hatchery manages to keep song-writing at the forefront of their musical mix to craft worthwhile death metal songs. The vocals are of a standard growled variety, but it’s the guitar work and drumming that sticks out on this release. 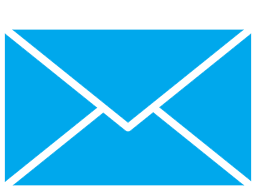 Tracks such as Illusory World have outstanding musical performances that are put forward to craft intelligent songs. Although the band upholds a tradition similar to Nile’s music, they are able to create a successful niche for themselves. The Middle Eastern aspect could also be likened to Melechesh, with a similar mid-paced groove that is a pleasing aspect to Calm Hatchery’s sound. The band’s songs are also short in nature and with this type of music that can sometimes verge towards intricate, it would be interesting to see them extend the song lengths longer in the future. This is a small downside compared to Nile, a band that is able to easily construct songs of epic length and scope. The songs are so tight and focused that Calm Hatchery are going to be a band to watch in the future, particularly if they start to become even more adventurous with the songs. Regardless, Fading Reliefs has more than enough power and consistency to have a huge impact on the listener. People looking for tightly constructed death metal with a nice Middle Eastern flavour should look no further than Fading Reliefs. Calm Hatchery represents a fruit allowed to rot on the vine. The ingredients are all waiting, but this road doesn't go to the winery. Instead, we have a lack of fulfillment, a gnawing emptiness, and a giant yawning mouth. The half-paced riffs and double timed double kicks vanish in the blur of an automated distillery, abandoning the listener to the loosest definition of liquor. Peach? Raspberry? Apple? Cranberry? All flavors are rendered interchangeable. My reviews often refer to protagonists, but Calm Hatchery has the ambition and charm of a third rate band aspiring to be second rate. Our heroes are long dead, and the best that their squires can muster is an imitation of late aughts Behemoth and Decapitated. With Fading Reliefs, we the audience receive a dilution of two great bands five years past their prime; a dry heave regurgitated long after the party ended. If one strains, the ear perceives occasional dashes of Morbid Angel's cacophony and Nile's Arabic flourishes, but these cosmetic ornaments are hidden beneath an ocean of ennui. For years I thumbed my nose and laughed at old school death metal purists, smirking as they cried foul over melodeath, tech death, and prog death. No more. This is safe, domesticated, middle of the road death metal. It's the muso wanker's version of "death Jovi," or rather "death Supertramp." And the shame comes from listening to a mediocre band endowed with first rate technical proficiency. These men clearly possess the work ethic, but to what purpose? The monotony of practice and study requires a meaningful buttress of observation and introspection. I've never listened to these Polish death metal merchants before, but I feel no enthusiasm for a return trip. I'm looking under the couch cushions for a reason this band exists, and my intellectual capital keeps coming up short. Long ago, a critic formulated the perfect summary for unremarkable albums: "well, this certainly exists." No further elaboration is needed.